About Map: Map showing Where is Navassa Island located on the world map. The Navassa Island is located in the Caribbean Sea. 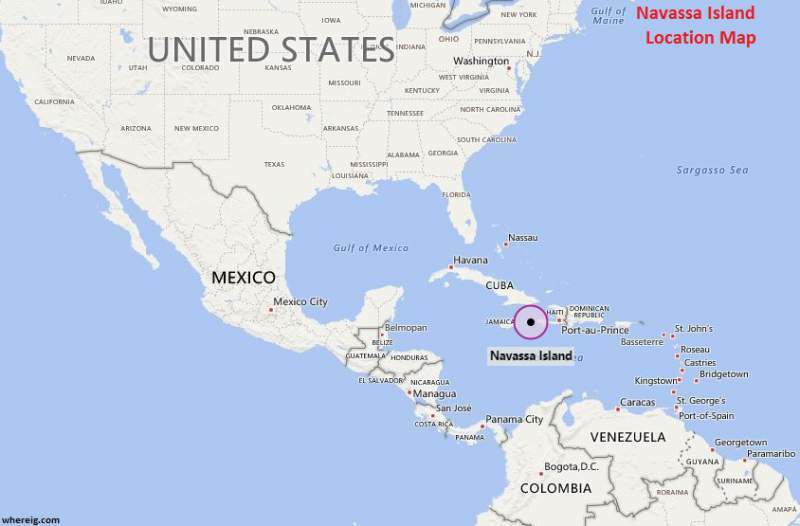 Navassa Island map also shows that it is located west of Haiti, south of Cuba, and east of Jamaica. The coral and limestone Island Navassa is a small Island where no habitant lives. The island claimed as an unorganized unincorporated territory of the United States, administered directly it through the U.S. Fish and Wildlife Service. However, Haiti also claims its sovereignty over the island.